How Does Our Prescription Discount Card Work? 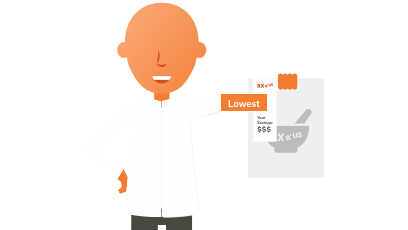 We negotiate a discounted cost on Rx drugs and then pass 100% of that savings on to you. 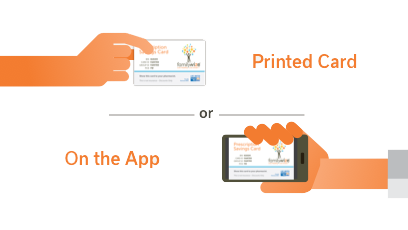 Get our card via instant download, mobile app, email, or text and show it to your pharmacist. Rx costs vary by drug and by pharmacy, but using our Drug Price Lookup Tool, you can see how much your prescription will cost at the participating pharmacies near you. 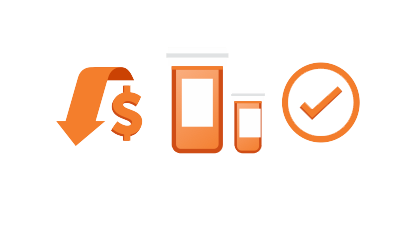 Take your prescription, along with our card or app, to a participating pharmacy and ask for the lowest possible price. Whether you're insured or uninsured, you can use FamilyWize to save on your prescriptions. You can even share it with your friends, family, and co-workers. There are no fees or eligibility requirements. This program can be used to obtain savings on prescription drugs that are excluded by your insurance plan, not covered because you have exceeded your plan's maximum limits or our free prescription discount card's price is lower than your program's co-payment amount. Accepted in thousands of chain and independent pharmacies nationwide, including Walgreens, CVS, Rite-Aid, Kmart, Walmart and many more pharmacies near you. We are proudly partnered with United Way, with whom we help communities across the country afford their much-needed medications. FamilyWize also has many wonderful community, corporate, health system, and pharmacy partners nationwide.